John Jay is located in New York City on the west side of Manhattan near Lincoln Center and Central Park, and the City as a whole serves as an important extension of campus. The newest addition to the College campus, opened in 2011, is the vertical tower on 11th Avenue that increases the College’s visibility to the City. 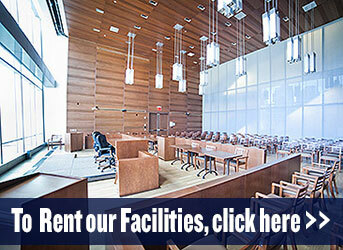 The new building includes more than 600,000 square feet of state-of-the-art “smart” classrooms, forensic labs, moot court room, conference center and simulator labs – all with a 100-percent WiFi collegiate environment.. Since opening its doors in 1988, the Gerald W. Lynch Theater has been an invaluable cultural resource to our students and community. Because of its proximity to the theater district, our 600-seat performing arts venue hosts premiere performances, live television tapings, concerts, international conferences, and galas, as well as student variety shows. Our clientele include Lincoln Center, New York City Opera, Mummenschanz, World Science Festival, Inside the Actor’s Studio, Carnegie Hall Neighborhood Concerts, Comedy Central Presents, the American Justice Summit, and the NYC Mayoral Democratic Debates. The Theater is a member of CUNY Stages, a consortium of 16 performing arts centers located on CUNY campuses across New York City and the CUNY Dance Initiative. For more information and a schedule of events, please visit www.GeraldWLynchTheater.com. The main entrance opens into the stunning Kroll Atrium that anchors the cascading spaces both horizontally and vertically, with a series of grand staircases, escalators, lounges, and gathering areas. At the heart of the College is the outdoor Jay Walk, a football field-sized landscaped rooftop commons five stories above the sidewalk. The Jay Walk, which was named by students, is the College’s first actual campus green and the only college campus park in Midtown Manhattan. Its greenery provides an oasis of natural beauty in the midst of the dynamism that is John Jay. The Atrium and the Jay Walk are buzzing with energy and vibrancy when the semester is in session, especially during “Community Hour” (1:40-2:40 p.m.), when student clubs and activities are in full swing, or when groups of students gather to carry on their class discussions or just hang out over lunch. The Lloyd Sealy Library houses one of the world’s premier criminal justice libraries. With unique holdings of 440,000 books, periodicals, microforms and digital collections, the Library supports the general education and curricula aims of the College and provides opportunities for extensive research in the social sciences, criminal justice, forensic psychology, forensic science and related fields. The John Jay Bloodhounds enjoy topnotch athletics facilities on campus, including the newly renovated Doghouse gym and basketball court and the 25-yard swimming pool. They also have access to the USTA Tennis Center, MCU baseball park, and additional facilities on Randall’s Island. John Jay’s central location offers easy access to countless experiential opportunities in the City, including internships, service learning and community service opportunities. It is also just a short walk from two of the world’s most renowned centers for music and dance – Carnegie Hall and Lincoln Center. 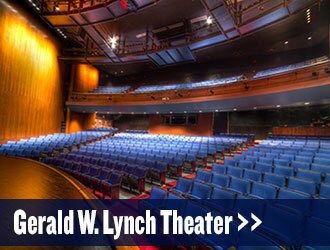 John Jay’s own Gerald W. Lynch Theater is an invaluable cultural resource, hosting popular events that include Lincoln Center performances, Gotham Chamber Opera, Metropolitan Opera Guild, and Alvin Ailey Dance Theater. The Shiva Gallery displays a wide range of art exhibits designed to draw both students and the surrounding community into the space to appreciate and respond to the artists’ work. And are interested in location shoots, review our facilities available for filming by clicking here.